Yellow notes - saviors of working and free hours. Now available with an integrated animation, upgrading retro technology to this millenium. What's old school, yellow, and helps you remember things? 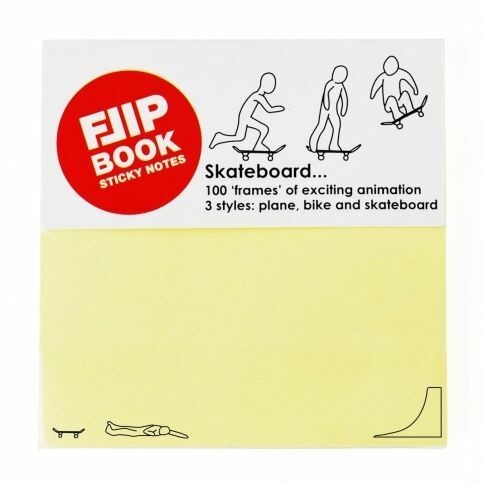 Well obviously the yellow flip book notes with a sticky surface on the other side. Our research shows that they have been used in 94% of offices worldwide and are available nowondays in digital form on your display aswell. Now these age-old daysavers have been tuned - the familiar yellow color has been kept, but the bottom edge has an unobtrusive animation printed on it. 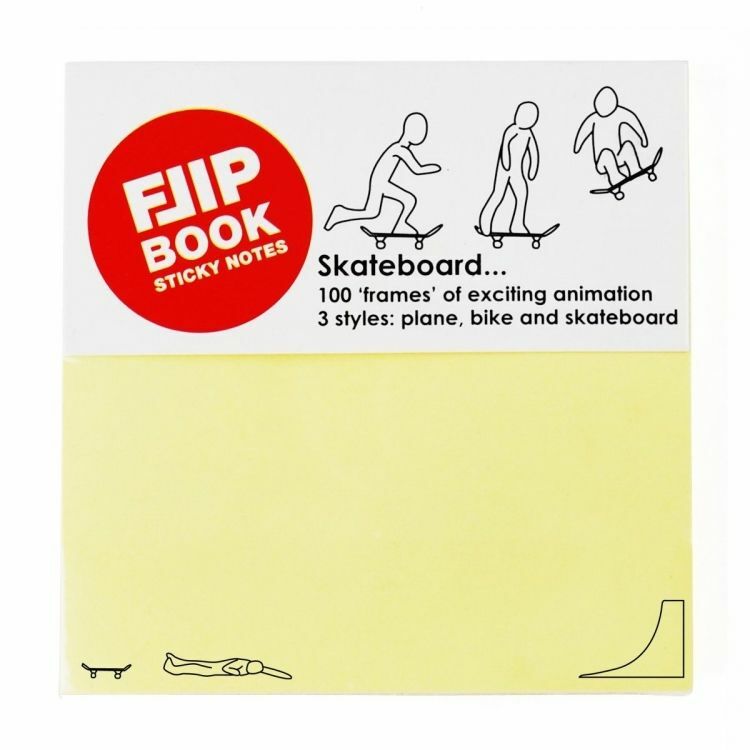 Each note has a sligthly different image, and when you go through the entire wad you can see a short animation of either a plane, a skater boy or a guy riding a motorcycle. 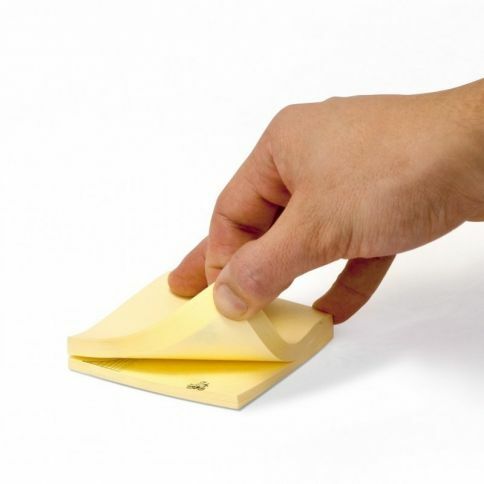 In all simplicity, you can easily and affordably cheer up your working day with these notes!